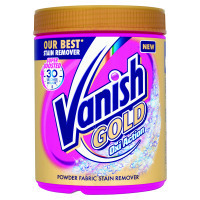 Vanish Oxi Action Gold Powder for Whites is a powerful and super-fast acting stain remover which will keep your white clothes and other fabrics smelling fresh and looking spotless. 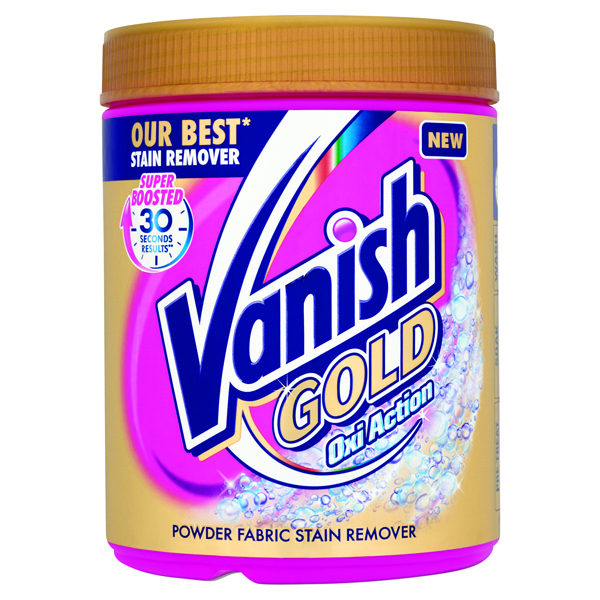 Vanish Gold is a super-boosted version of the standard Oxi Action formula, made to attack all types of stubborn stains and provide amazing results in as little as 30 seconds. Just one scoop of Vanish Powder in your washing machine is enough to provide an intense cleaning action.